316 Stainless Steel Grooved Tube Connector 1" x 1" x 1/16" x 9' 10"
316 Stainless Steel Tube 1 2/3" x 19'-8" 316 Stainless Steel Tube 1/2" x 19'-8" 316 Stainless Steel Round Bar 1/2" Dia. 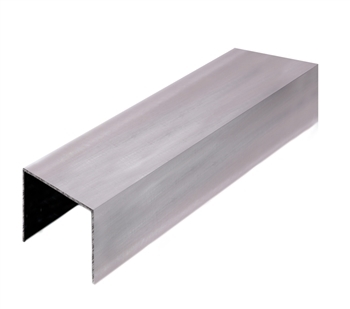 x 9' 10" 316 Stainless Steel Tube 1 2/3" x 9'-10"
316 Stainless Steel Square Tube 1-9/16"x 1/16"W - 19'-8"L 316 Stainless Steel Round Bar 1/2" Dia. x 19' 8" 316 Stainless Steel Square Tube 1 9/16" x 1 9/16" x 19'-8" 316 Stainless Steel Square Tube 1 9/16" x 1 9/16" x 9'-10"